link:http://ldcifd4.wdf.sap.corp:50004/sap/opu/odata/sap/Z_EXMUI5_SRV/$metadata,the result as follows.The parameter type of FROM_TIMESTAMP is Edm.String. 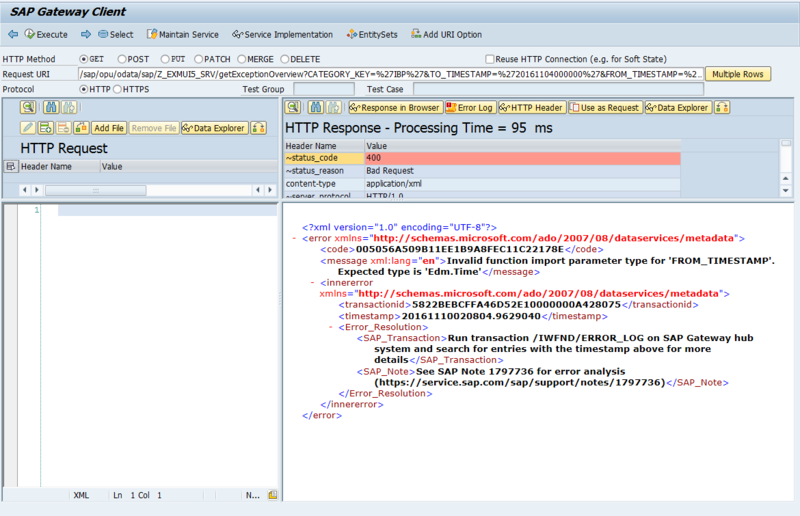 But when I input the uri /sap/opu/odata/sap/Z_EXMUI5_SRV/getExceptionOverview?CATEGORY_KEY=%27IBP%27&TO_TIMESTAMP=%2720161104000000%27&FROM_TIMESTAMP=%2720161103000000%27 ,and I get the error message: Invalid function import parameter type for 'FROM_TIMESTAMP'. Expected type is 'Edm.Time' as following picture. I don't know what cause the conflict,and what should I do to solve it.